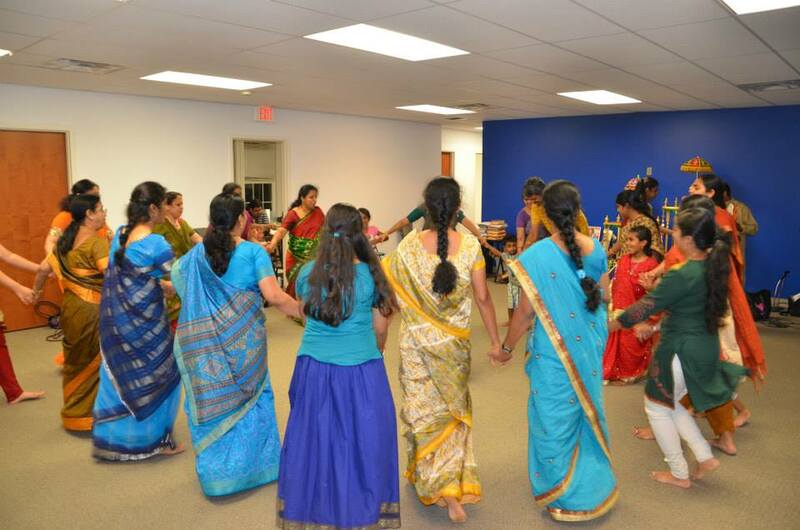 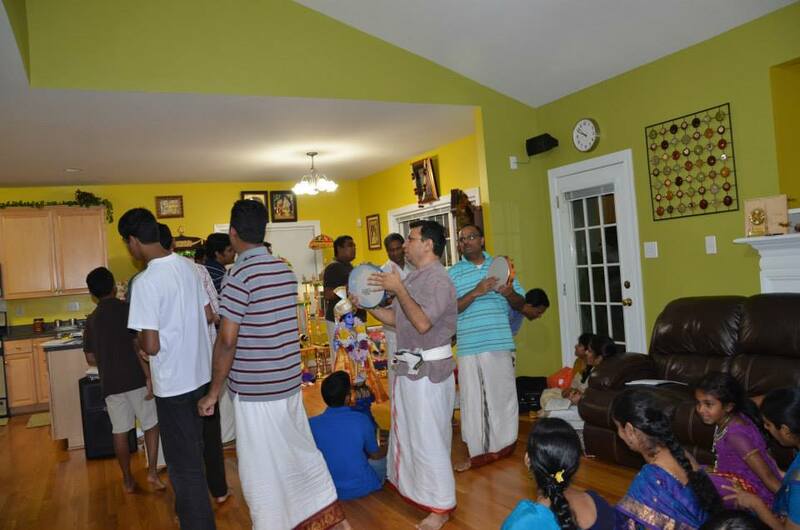 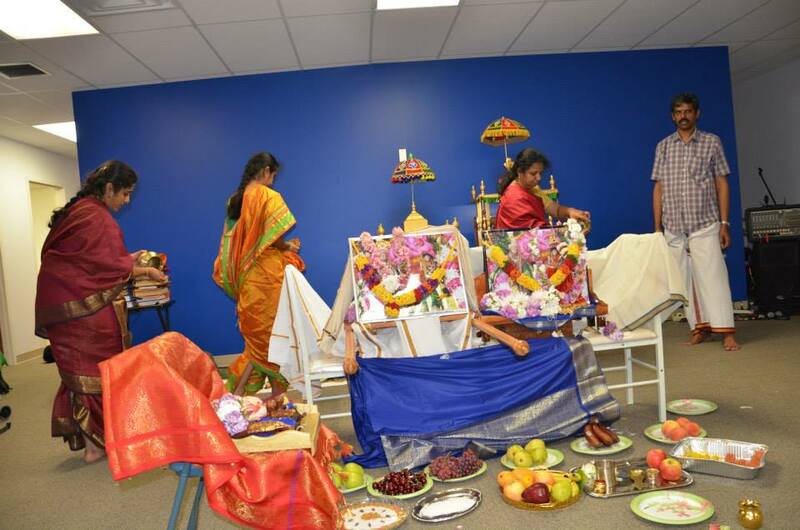 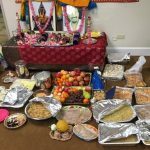 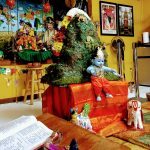 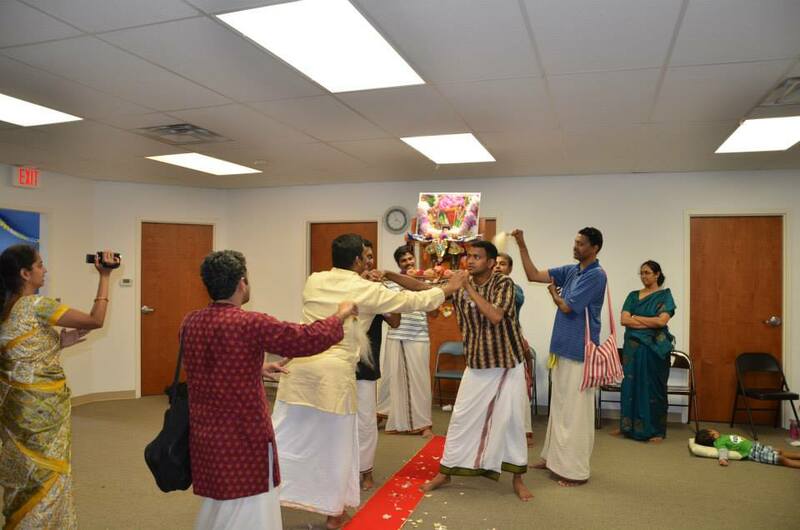 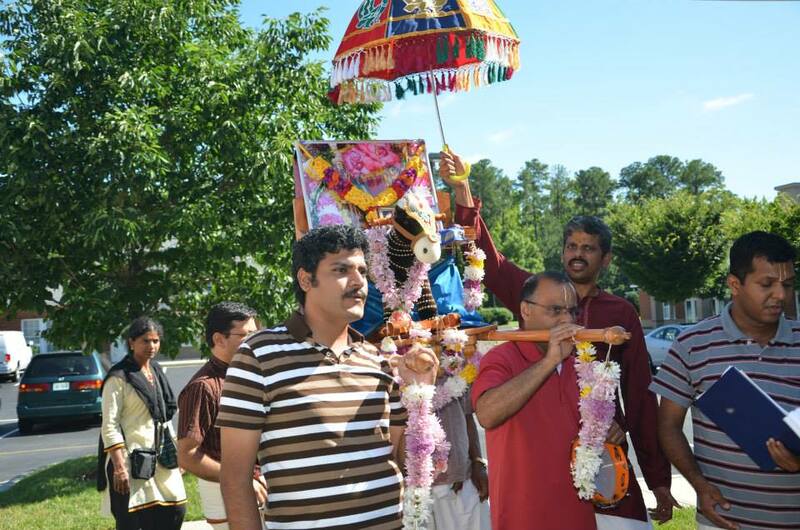 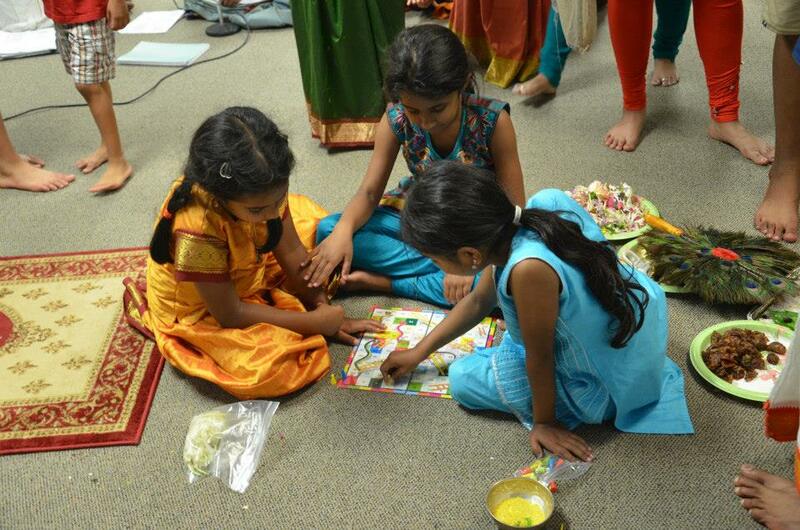 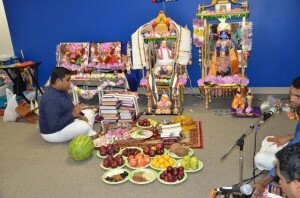 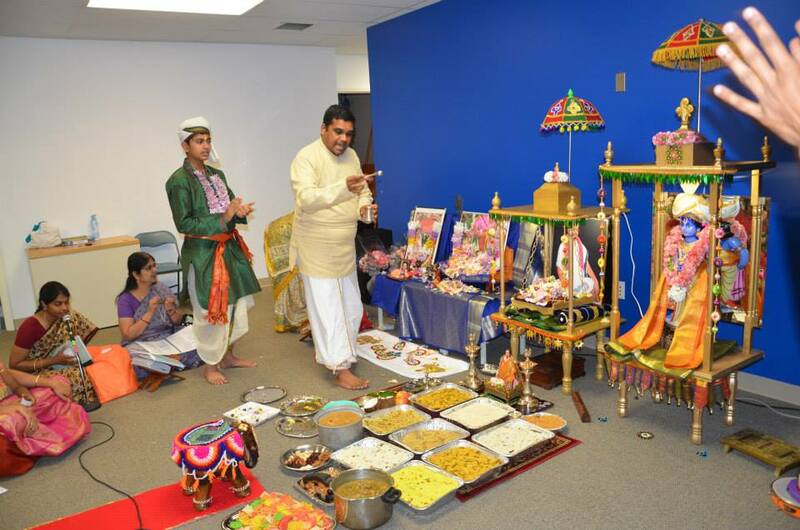 Virginia GOD Chapter celebrated a grand 5 day Madhura Utsav during the Independence day long weekend in Richmond, Virginia. 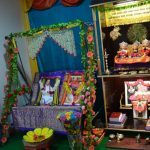 The Utsav commenced on Wednesday, July 3rd 2013 with Akanda Nama Sankirtan from 6am in the morning until 6pm in the evening. 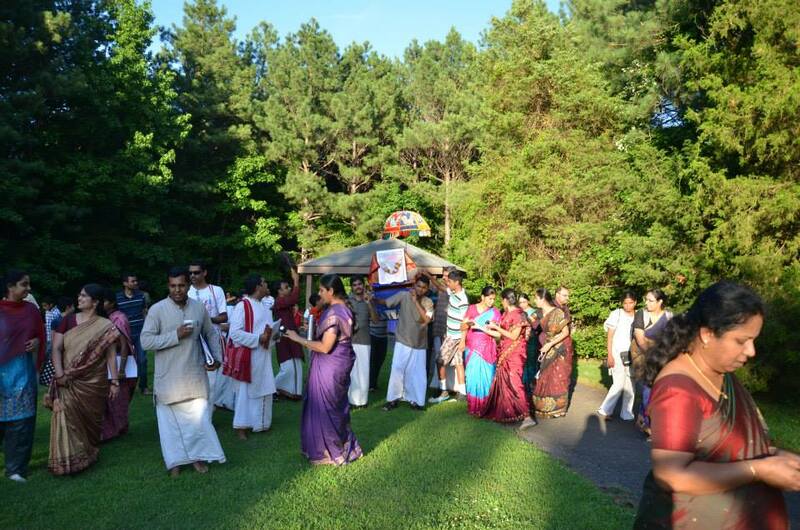 As the sun started to set in, all the devotees geared up to welcome Sri Swamiji’s divine Padukas from Boston. 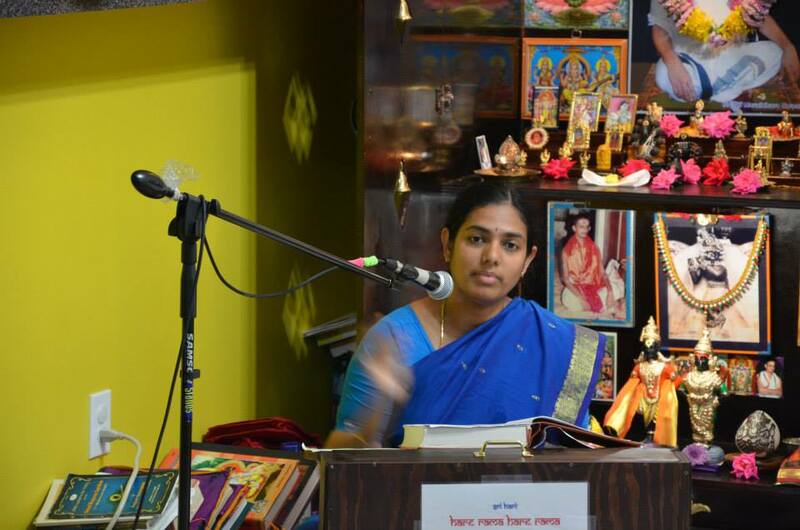 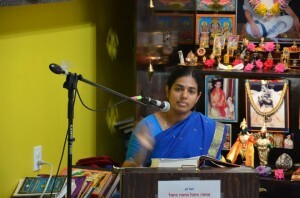 After welcoming the holy Padukas, Smt.Nishaji delivered a beautiful discourse on the greatness of Srimad Bhagavatham and the first day came to a grand close with Dolotosovam. 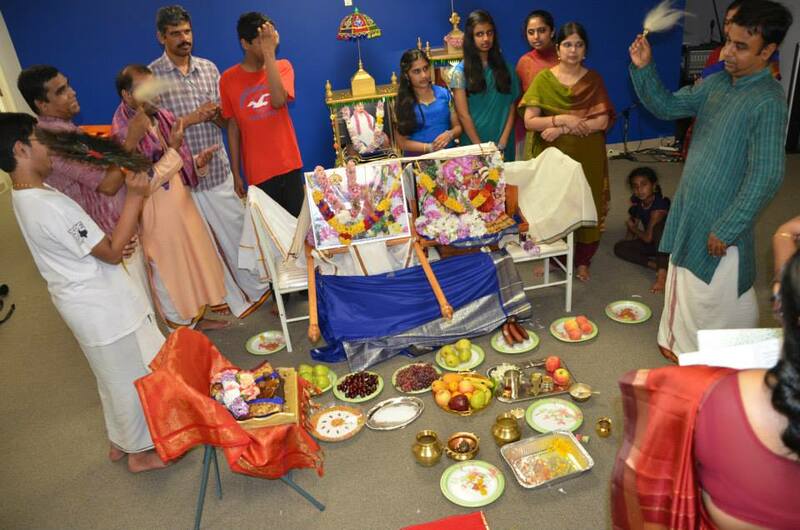 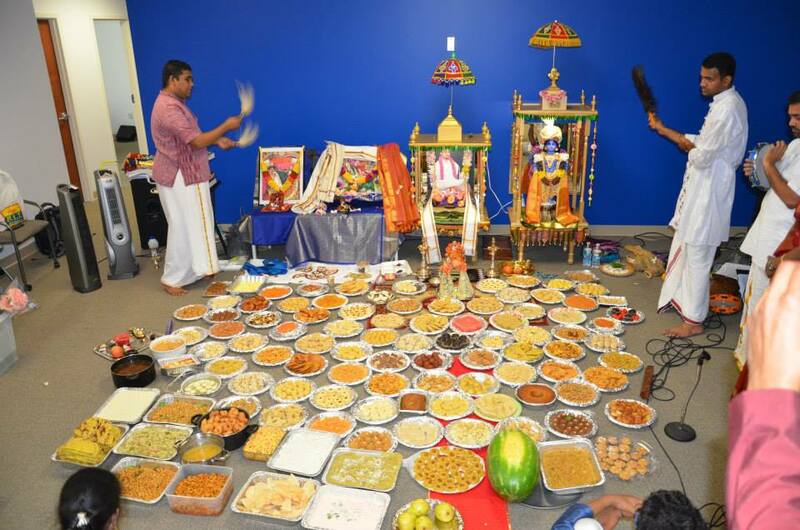 On Thursday, July 4th 2013, Srimad Bhagavatham tenth canto parayanam commenced and ‘Nandotsavam- Birth of Lord Krishna’ was celebrated in a very joyful manner. 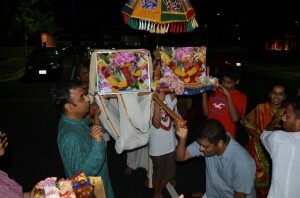 In the evening, all the devotees enthusiastically took part in Vanabhojanam at Pouncy Track park. 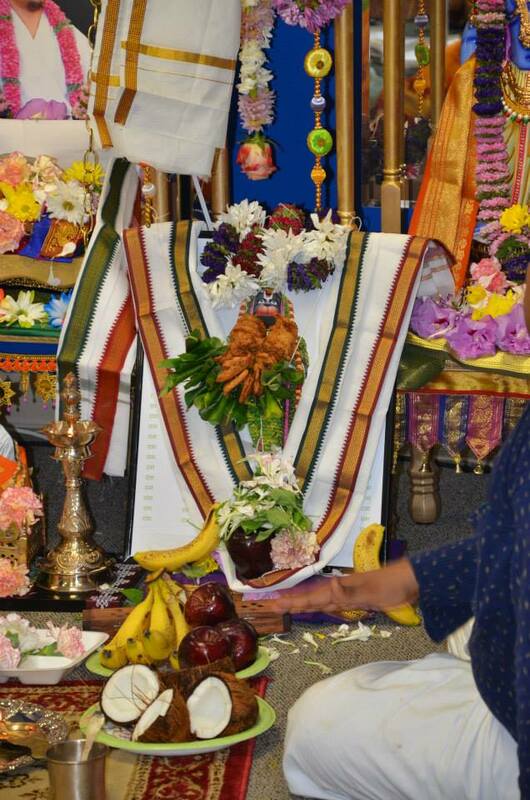 Sri Narayananji enthralled all the devotees with a discourse on Brahma Mohanam followed by DivyaNamam and Dolotosvam. Day 3 of the utsav began with “Yannai Vahanam purappadu” – procession of the divine couple to the singing of kirtans composed by Sri Swamiji. 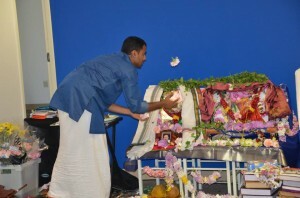 Following this, tenth canto parayanam from Srimd Bhagavatham continued and Govinda Pattabhishekam event took place in a very grand manner. 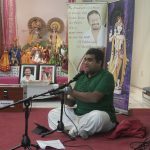 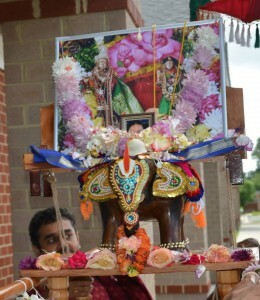 Kirtans glorifying the greatness of the divine name ‘Govinda’ were rendered followed by Annakootothsavam. 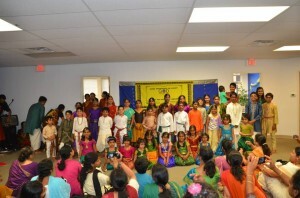 The evening passed away quickly with splendid performance by Gopakuteeram children,ladies Divyanamam and Dolotsovam. 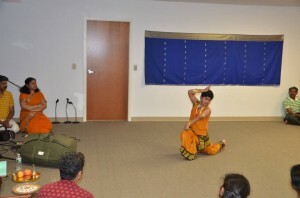 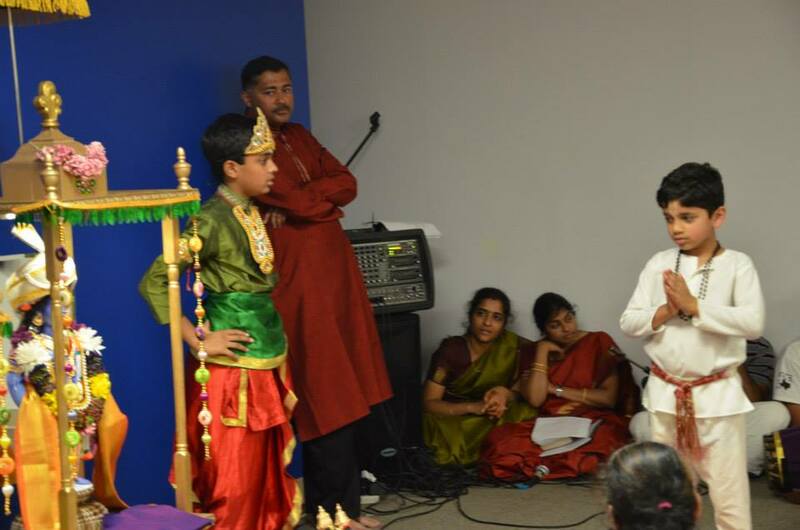 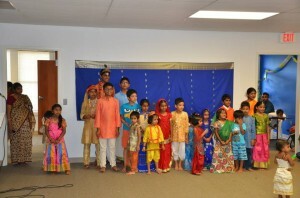 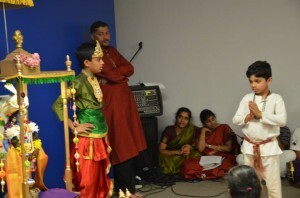 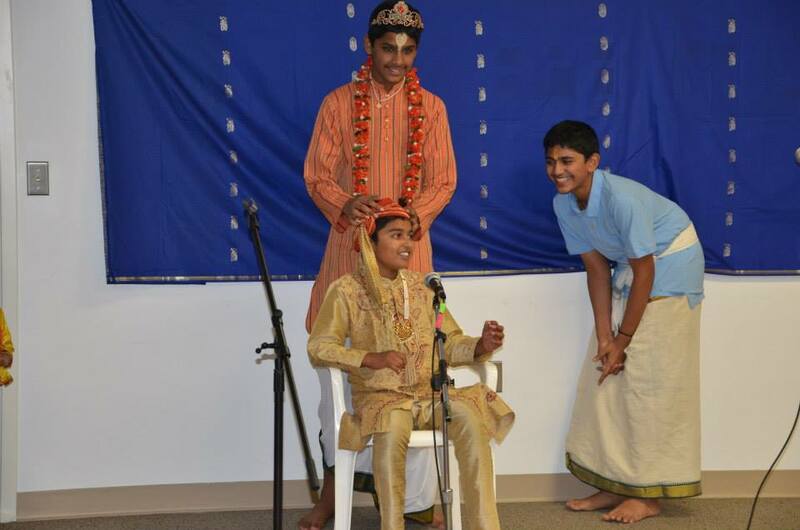 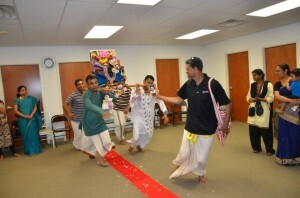 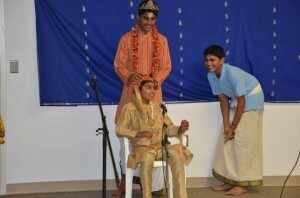 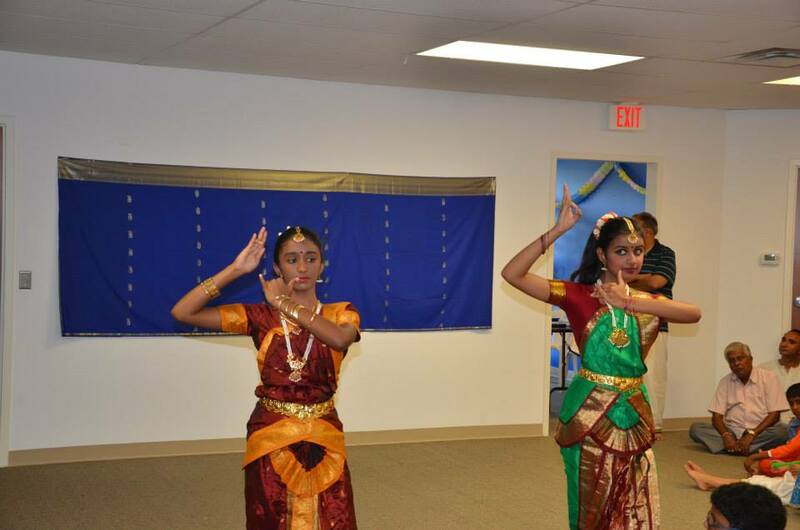 The performances included a skit on Sant Namadev, dance performances, hari katha and talent show. 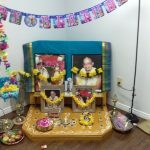 On Saturday, July 6th, all the devotees took part in “Kudirai Vahanam Purappadu” and continued with tenth canto parayanam. 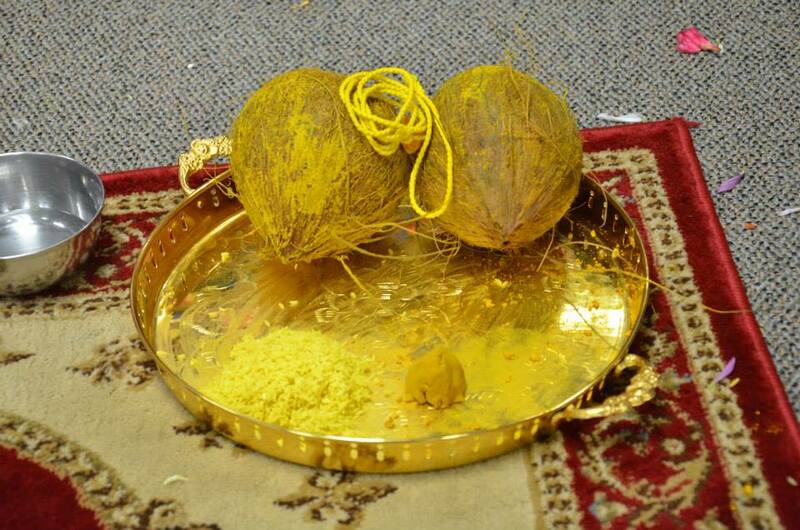 In the afternoon a grand Rukmini Kalyanam with Rajbhoj seva was performed to the divine couple. 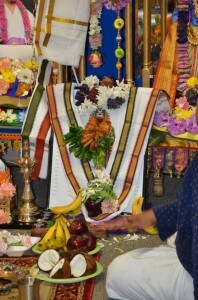 In the evening, the divine couple was bedecked in fine jewels and vastrams and was all set for Janavasam. 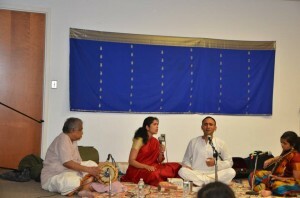 The divine couple was taken around circumambulating to the singing of kirtans composed by Sri Swamiji. 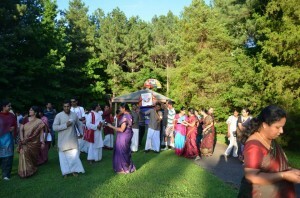 Everyone joyfully participated in the procession. 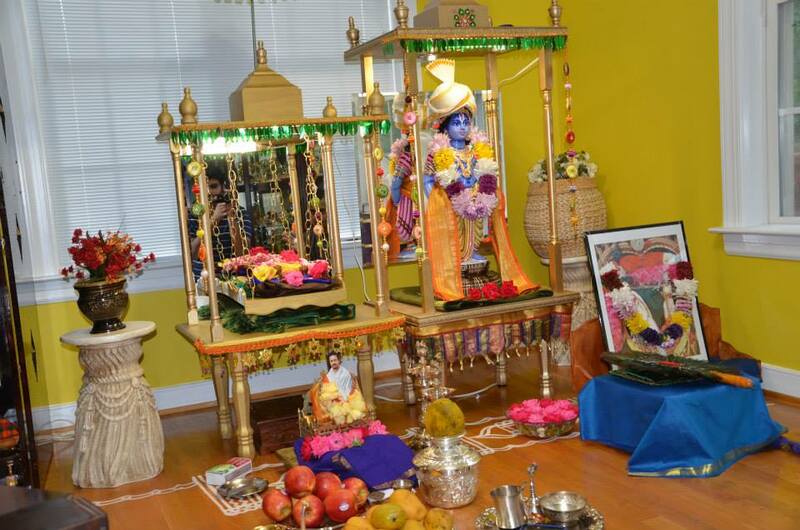 On Sunday, July 7th, Radha Kalyanam was performed to the divine couple. Other daily events included Prabhodhanam, Ashtapati and Dolotsav on all the 5 days. 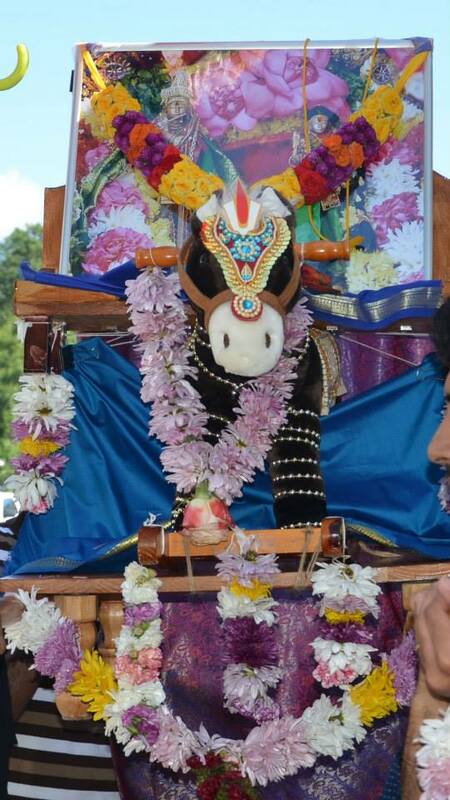 The 5 day grand Madhura Utsav came to a grand close with Anjaneya Utsav. 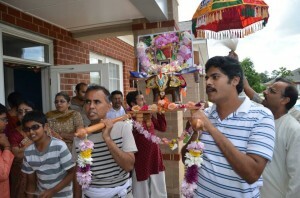 Close to 150 devotees took part in this grand Utsav. 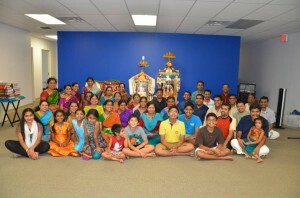 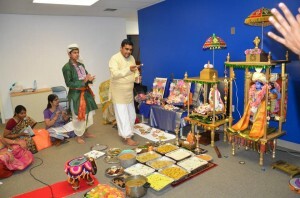 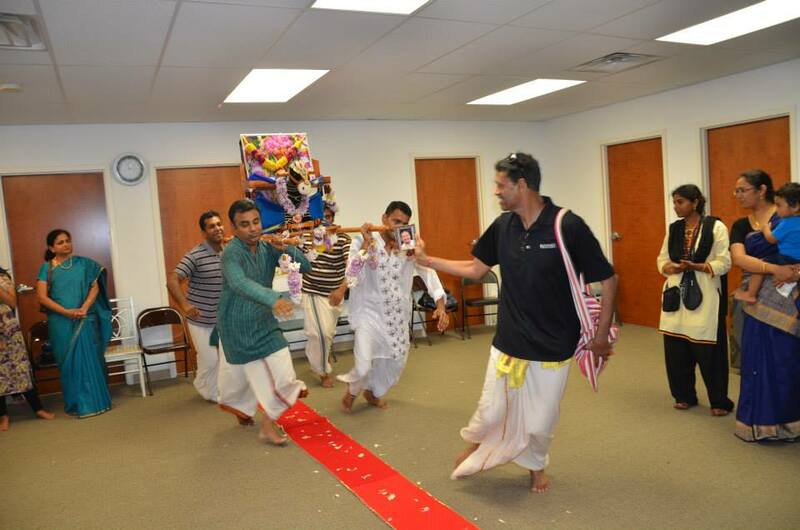 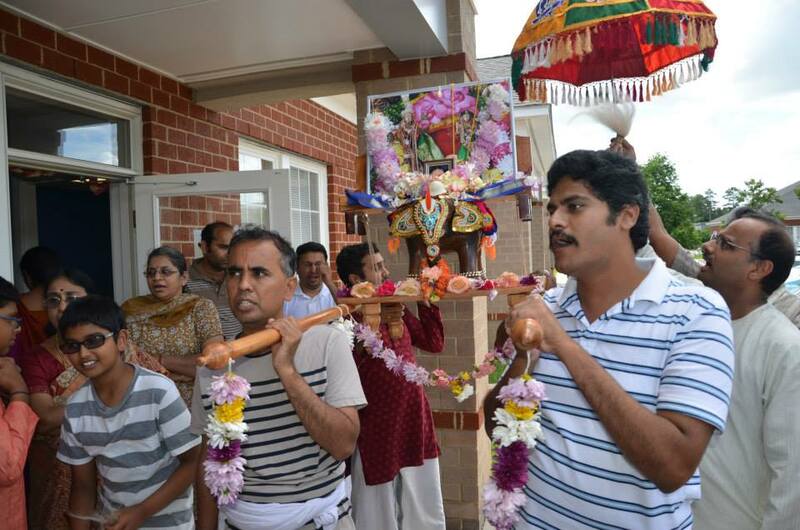 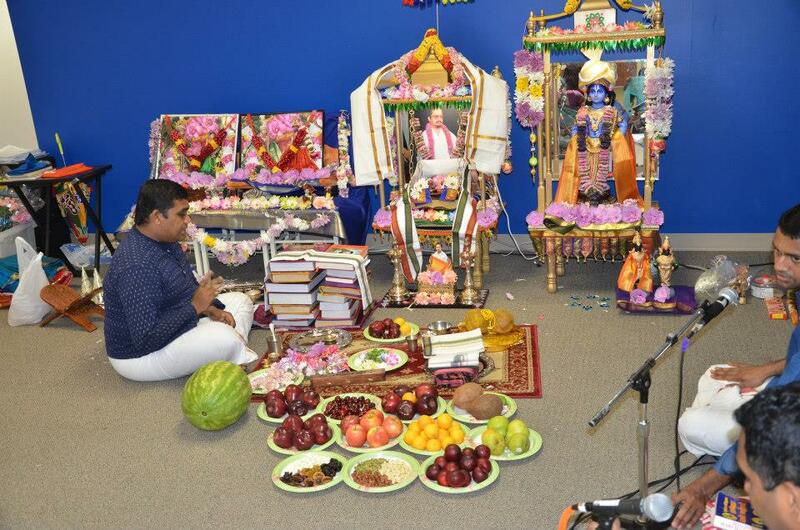 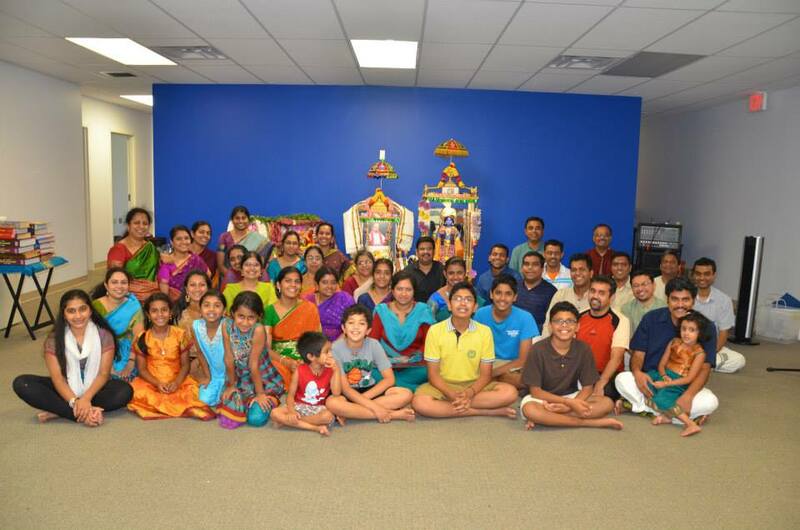 Many devotees from California, Texas, Noth Carolina, Massachusetts and New Jersey took part in the Utsav. 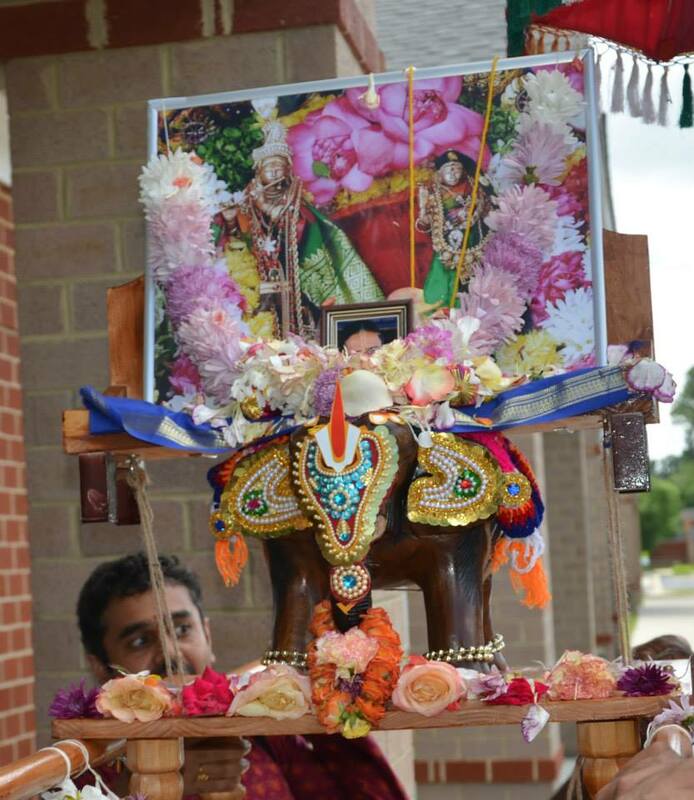 It was indeed an exhilarating event for all the devotees who attended the Madhura Utsav.